Product #20855 | SKU DBSIGMAS115 | 0.0 (no ratings yet) Thanks for your rating! 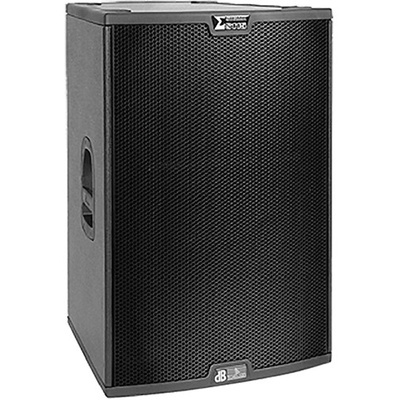 The dB Technologies SIGMA S115 is a 1000 watt 15" / 1.4" active two-way system that is designed to be used as a full-range FOH speaker. The S115 has been engineered to achieve an assertive midrange, prominent top end, and constant directivity at high sound pressure levels. The integrated digital sound processor allows the final touches to be made to your sound, rounding it out to a warm, natural tone with powerful bass and accurate high frequencies. A variety of signal processing presets are designed to allow you to dial in your sound with minimal fuss.